Moura and Wanyama were among seven changes made by manager Mauricio Pochettino from Tuesday's 1-0 win over Manchester City in the first leg of Spurs' Champions League quarterfinal - a game in which Kane suffered a left ankle injury that could rule him out for the rest of the season. And they will be expecting to beat bottom-placed Huddersfield in the Premier League's early game. 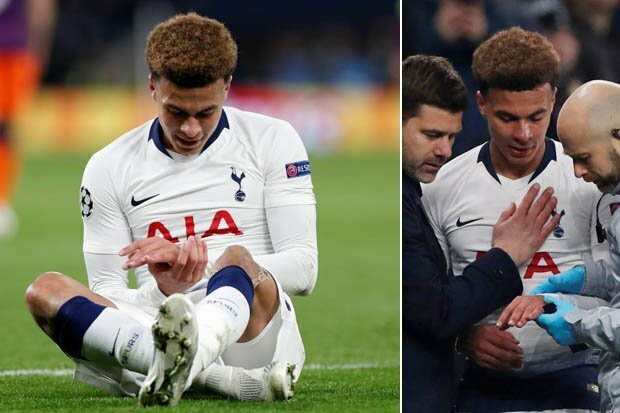 A club statement reveals Kane "sustained considerable lateral ligament injury to his left ankle" while confirming Dele Alli fractured his left hand - the midfielder left the pitch clutching his left wrist in the same game. He left the stadium on crutches. Moussa Sissoko dinked a pass into Lucas's path and the Brazilian took a touch before drilling a fierce shot across Hamer into the far corner. Lucas, a candidate to start against City, stole the show in the second half, controlling Eriksen's pass to smash home the third goal in the 87th minute.